Splendour eye: Oldest Father on Earth at the age of 94 ! Can you believe that a 94 year old man could become father ? A 94 year old man from a small town in Haryana, India is claimed to be the oldest father in the world. The earlier record was in the name of Nanu Ram Jogi from Rajasthan, India who was claimed to become father at the age of 90 ! 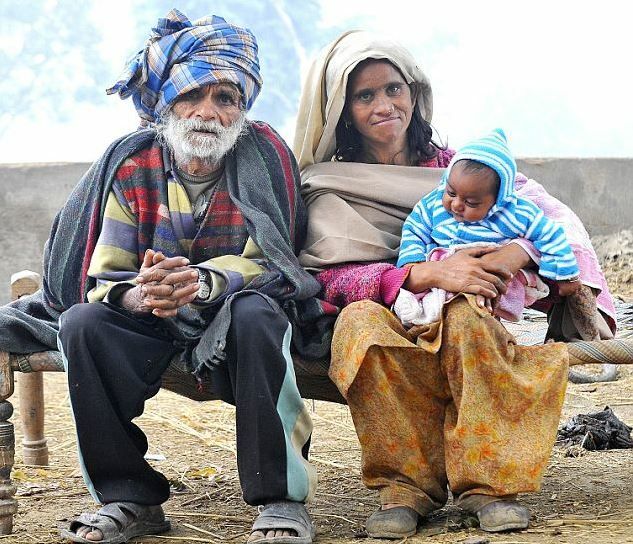 Ramajit Raghav is the new oldest father, living in a small town, Kharkhoda in Sonipat district of Haryana state. His old-age pension records reveal that his age is 94. His wife Shakuntala, who gave birth to the child is said to be in her fifties. He is originally from a village called Begpur in Uttar Pradesh who had left home about 40 years ago after a violent dispute in his family and was living at the current town from last 22 years. He proudly says that he had been a wrestler in his youth and his daily diet which was comprised of 3 litres milk, half kg ghee & half kg almonds has helped him to survive at this age. He says that it is a 'God's Gift' to become father at this age and has named his child as Karamjit. Doctors have confirmed that his wife gave birth to a healthy male child and it belongs to him. They also said that it is a rare case but possibilities can't be denied.